The deflector’s heat-up causes a lithium crystal circuit to burn out and the Enterprise will soon be without power. 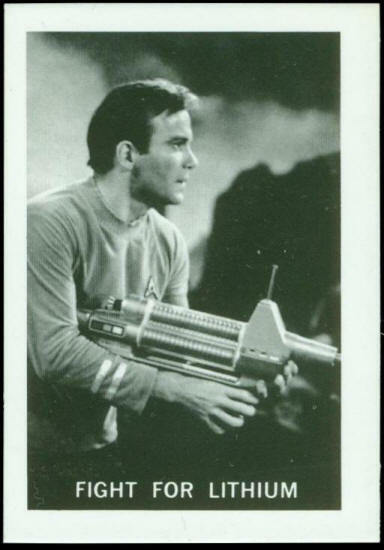 Kirk beams down to a mining colony to obtain crystals. He discovers the miners refuse to sell except on their own terms. 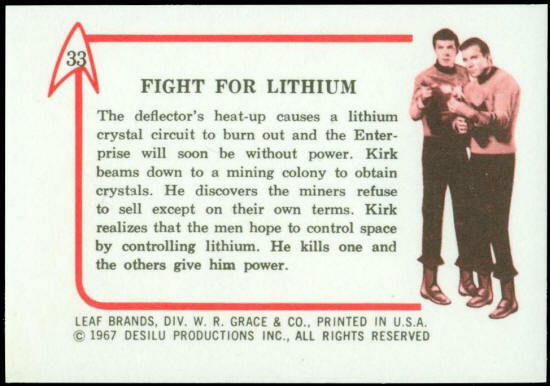 Kirk realizes that the men hope to control space by controlling lithium. He kills one and the others give him power.